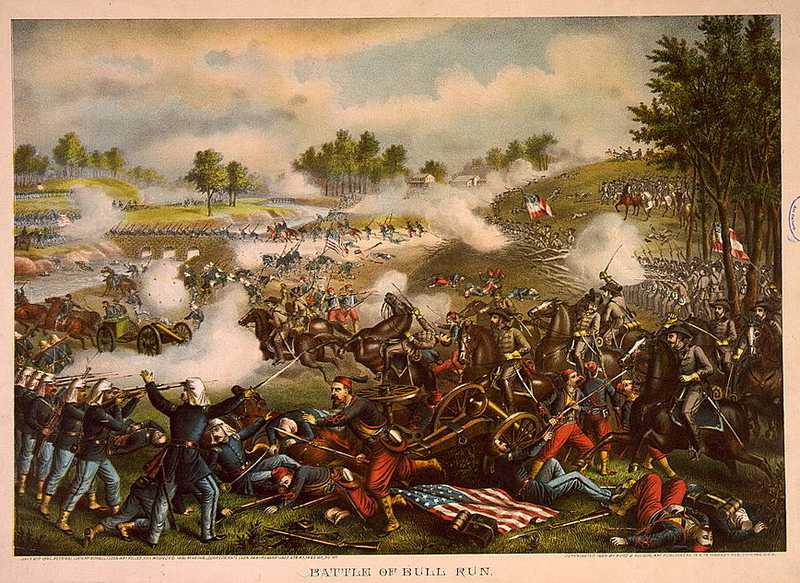 Today, we are commemorating The Battle of Bull Run (First), which occurred on July 21, 1861. On the morning of July 21, 1861, William How­ard Russell [editor’s note: an Irish journalist with The Times] was running late for a battle. Confederate troops under Gen. P. G. T. Beauregard, whom he knew from Charleston, and the Union Army under Gen. Irvin McDowell, whom he’d met several times, were now massed around a little rivulet called Bull Run near the Manassas Gap Railroad junction. Everybody in Washington seemed to think this first major battle would be a Northern victory. It might be the beginning of serious fighting. It might be the end of it. Whatever happened, there was no question, Russell had to be there to see it. Since Russell’s return from the South to the Federal capital, nothing had gone right for him. While he’d been away, and despite his reams of reporting, Delane and the other editors of the Times of London had taken a stand of clear sympathy with the secessionists. They reflected the interests of an elite with commercial concerns about cotton and contempt for the American notion of a republic. They also embraced the idea that, because Lincoln and Seward in­sisted this war was not about freeing the slaves, then truly that was the case. And for the masses, there was the appeal of the Southern­ers as underdogs struggling against the subjugation of Washington. The Times editors had become just the apostles of the fait accompli that Seward had feared. So even though the paper still ran Russell’s articles about the inadequacies of the Southern military position, the arrogance of King Cotton, and the monstrosity of slavery, its editorials were such that Russell found the Times “assailed on all sides as a Secession organ, favorable to the rebels and exceedingly hostile to the Federal government and the cause of the Union.” The net result for its correspondent was that he no longer had the kind of access to the Union military that he’d wanted and expected. Seward would still see him, but War Department passes were hard to come by, and on the eve of combat no one would give him the countersign so he could get through checkpoints to see the battle begin at dawn. Not until midday did Russell finally get close enough to the fighting to hear “the thudding noise, like taps with a gentle hand upon a muffled drum” of artillery in action. Among congressmen and other dignitaries, many of them accompanied by their wives, he watched from atop a hill above Centreville as distant wisps of smoke marked the opposing lines. He ate a sandwich. He drank some Bordeaux he’d packed in his case. By the time he drew closer to the fighting, the Union forces were pulling back; then, suddenly, they were fleeing in a rout so complete that he could hardly believe his eyes. Russell was on a borrowed nag threading his way toward the action when he heard loud shouts ahead of him and saw several wagons coming from the direction of the battlefield. The drivers were trying to force their way past the ammunition carts coming up the narrow road. A thick cloud of dust rose behind them. Men were running beside the carts, between them. “Every moment the crowd increased, drivers and men cried out with the most vehement gestures, ‘Turn back! Turn back! We are whipped.’ They seized the heads of the horses and swore at the opposing drivers.” A breathless officer with an empty scabbard dangling by his side got wedged for a second between a wagon and Russell’s horse. “What is the matter, sir?” Russell asked. “What is all this about? “Why, it means we are pretty badly whipped,” said the officer, “and that’s the truth.” Then he scrambled away. For the South, “here is a golden opportunity,” said Russell. “If the Confederates do not grasp that which will never come again on such terms, it stamps them with mediocrity.” But the rebels stayed where they were, and the fact that they did not march on Washing­ton suggested this would be a long war. As Russell studied the city, its politicians, and its dispositions in the aftermath of the battle, he did not agree with “many who think the contest is now over.” He figured the Northerners had learned a lesson about “the nature of the conflict on which they have en­tered” and would be roused to action. But when the Times ran Rus­sell’s article on the battle, his balanced judgment about the lessons learned got no play. The whole effect of his account of the rout was to reinforce the editors’ image of a South that not only would fight, but that could fight better than the North and, therefore, should soon be free of it. 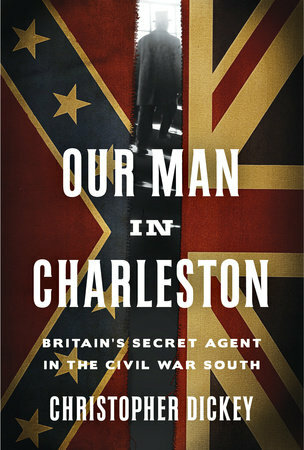 Read more about the American Civil War and the untold story of the Robert Bunch: an unlikely Englishman who hated the slave trade and whose actions helped determine the fate of our nation in Our Man in Charleston.